If you have experienced a Google verify my business issue like your page having been reported as spam page, you are not alone! Many do, but only few find a fast and easy solution. Where there is a will there is a way! We did and wanted to share our best solution below. 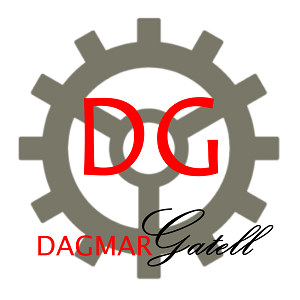 page for any company or entrepreneur. In the old days with Google Local, only brick-and-mortar businesses and local service providers had a benefit of setting up a Google Local page. Doing so would allow them to come up for local searches and also put them on the Google Maps. Then Google realized something! Allowing listings for businesses that serve customers and clients nationwide or globally is a good thing. By them setting up their own business page with Google My Business, Google can make sure they have an official business location in the United States of America and are legitimate. One of our clients owns a company that serves a local area and also provides online services to a nationwide clientele. We set up a Google My Business page for him with 900 miles reach. He went ahead and applied for the Google business verification code per mail. Enter your Google Business Verification Code and submit! The Google My Business card with verification code provided a link to the google.com/supportmybusiness help page. The problem was that there was nothing written about what to do when your Google business page shows up as identified possible spam page. Nor how to deal with it. He followed the instructions above and clicked on the “Verify” button. Because after all, his page was verified. The red box disappeared and a yellow one showed up. And again, the red box, explaining that our client’s Google My Business page was identified as possible spam, showed up again, and again, and again. Whenever he would click on “Verifiy” – what he had already done the first time – the red box disappeared and then showed up again after few seconds. We could clearly see that his page was verified through the green check mark next to our client’s business name and the word “Verified”. Step #1: Go to the Google My Business Help Center. Step #6: Make sure you have your phone close by because you will receive an automated call within the next 60 seconds. Depending on how long the waiting line is, you have to wait for few minutes. Step #7: Have your gmail email address and your physical address handy. The Google representative will ask you about it. Step #8: Explain them exactly the steps you took and what you see as issues on your screen. Good luck solving your Google My Business issues! In the best case, it’s just a glitch between verifying your business page and seeing the spam page error message. It can take up to 72 hours before the message disappears. Don’t waste time when you come across this issue. Reach out to Google and let them know you have this spam page issue. Having a Google My Business page is great to improve your website’s rankings. By you telling Google that you are a legitimate business located in the United States of America, you get extra trust points. Use your Google My Business page to post on an ongoing base high quality, shareable content to show you are here and in business (many Google business pages appear as “dead”). Google Plus posts appear in the real time search of Google’s SERPs (search engine results pages) and bring your website the social recognition search engines look for. My business code is over two weeks and now I cannot use it anymore. What to do??? Hi! Thank you for asking! I see you are located in the Netherlands. Please go to your Google My Business account and check if there is the option to call you with a new code. I just did this today with a client in South Florida who had her old verification code since a month, also expired, and it worked. 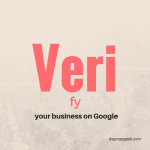 She received the call from Google and we could verify her Google My Business account successfully. Wishing you much success!